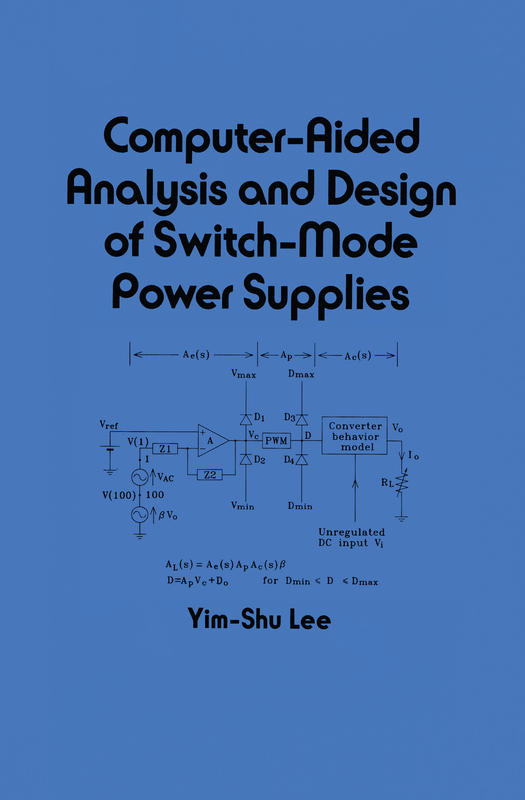 This comprehensive reference/text explains the development and principles of operation, modelling, and analysis of switch-mode power supplies (SMPS)-highlighting conversion efficiency, size, and steady state/transient regulation characteristics. ;Covering the practical design techniques of SMPS,this book - reveals how to develop specific models of circuits and components for simulation and design purposes; explains both the computer simulation of the switching behaviours of dc-to-dc converters and the modelling of linear and nonlinear circuit components; deals with the modelling and simulation of the low-frequency behaviours of converters (including current-controlled converters and converters with multiple outputs) and regulators; describes computer-aided design (CAD) techniques as applied to converters and regulators; introduces the principles and design of quasi-resonant and resonant converters; provides details on SPICE, a circuit simulator package used to calculate electrical circuit behaviour. ;Containing over 1000 helpful drawings, equations, and tables, this is a valuable reference for circuit design, electrical, and electronics engineers, and serves as an excellent text for upper-level undergraduate and graduate students in these disciplines.